The Slotfather Part II 3D Slot: Take Part in the Action to Collect Doubled-Bonus Wins and a Big Boss Bonus! The Slotfather Part II brings back Betsoft's Mafia gangsters to the slot screen. 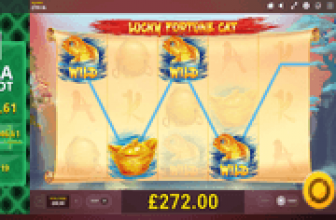 This time, the leading 3D online slot developer configured the game with 243 ways to win on matched symbols. The intimidating Mafia Don confers the highest rewards on winning combos comprising 3 or more of his daunting image. Hitting five (5) in a row in adjacent columns results to as many as 500 coins multiplied by the bet staked per line. Moreover, a random Big Boss Bonus may bring instant coin wins as additional rewards! In the Free Games, players tag along with The Don's henchmen Fat Tony, Frankie, and Snake Eyes Sammy as they carry out their collection rounds. The three (3) henchmen dominate the reels with their gigantic image, occupying reel positions that tend to increase the odds of landing on more than one winning combination. This Slotfather II sequel makes sure that all bonus wins hit during the round, including Scatter Rewards, will be doubled; standing in contrast to the original Slotfather slot that awards bonus multipliers at random. There is a Treasure Chest to anticipate as outcome of a spin. The chest full of valuables is the Wild image. It can complete a winning arrangement by posing as compatible match for a regular-paying symbol. The Wild though emerges only in Reels 2 and 4 in the base game. When they do, it is likely that more than one Treasure Chest image will emerge because the totem is built as a full-reel Stack of Wilds. In the free games, the Treasure Chest Wilds bring greater advantage because they are destined to appear in Reels 2, 3, 4, and/or 5. The Prohibition Era Truck is the vehicle that could take players on their way to good fortune. 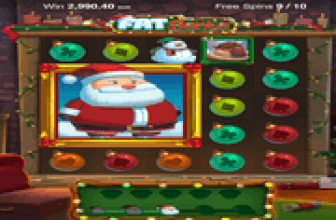 Three, four, or five Truck images scattered anywhere across the Slotfather II reels, trigger a round of free-spins. A pair of Truck Scatters is enough to bring instant bonus wins of 250 credits. The Slotfather Part II players can hope for more when3, 4, or Scatter combo strikes, as the rewards soar to 375, 625, or 1250 credits, respectively. 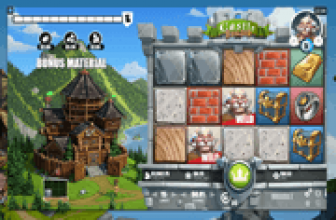 The Slotfather II Free Games – A set of Free-Spins comprise 8, 12 or 20 bet-free turns. Here, coin wins including those earned as Scatter Wins will be doubled (2x). The three (3) capos hog the limelight by appearing as large, full-reel images. When a base game spin produces two identical gangster images via single turn, a respin occurs. The Gangster icons, on the other hand, stay on the landed position. That way, if after the respin the reels return with a third matching Gangster image, an instant Gangster Bonus Win will be awarded. The respin will still carry on even if two dissimilar Gangster Giant Images are in place; but it is important for the third Gangster Giant image to match any of the two existing Gangsters in view. The Slotfather Part II : Awesome Sequel! Doubles Bonus Wins and Awards Instant Bonuses! The Slotfather Part II is a reinvention of an earlier Mafia-themed 3D slot, which now constantly pays double on free-spins wins and awards instant bonuses!